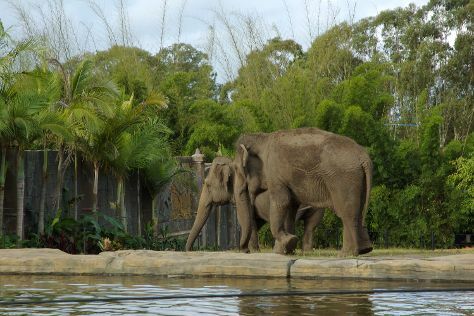 Family-friendly places like Lone Pine Koala Sanctuary and Wheel of Brisbane will thrill your kids. 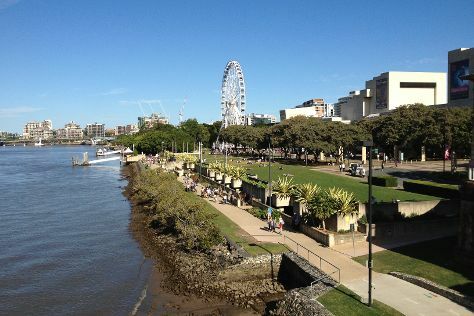 And it doesn't end there: walk around South Bank Parklands, explore the activities along The Brisbane River, admire all the interesting features of Suncorp Stadium, and admire the natural beauty at Brisbane Botanic Gardens Mt. Coot-tha. Quickly create a custom-made itinerary for Brisbane using our trip planner. Muenster, Germany to Brisbane is an approximately 28-hour flight. Traveling from Muenster to Brisbane, you'll lose 9 hours due to the time zone difference. In April, Brisbane is warmer than Muenster - with highs of 30°C and lows of 19°C. Finish your sightseeing early on the 16th (Tue) to allow enough time to drive to Mooloolaba. Start off your visit on the 17th (Wed): tour the pleasant surroundings at Mooloolaba Beach, stroll through Australia Zoo, and then enjoy some diversion at Buderim Lions Park. On the next day, make a splash at Sea Life Sunshine Coast, admire the natural beauty at Maleny Botanic Gardens & Bird World, and then make a trip to HMAS Brisbane. To see more things to do, ratings, photos, and more tourist information, you can read our Mooloolaba trip planner. Drive from Brisbane to Mooloolaba in 1.5 hours. Alternatively, you can take a bus; or do a combination of train and bus. In April, plan for daily highs up to 30°C, and evening lows to 19°C. Finish your sightseeing early on the 18th (Thu) so you can travel back home.